Holidaying is important for us all. Pressures of modern life mean that it can be easy to forget the need to look after oneself: quality relaxation time is essential for the refreshment of both mind and body. We at IF-EcoAdventures can take the strain out of holiday planning and provide a truly memorable, off the beaten track holiday experience of a lifetime. Our packages focus on the outdoors. This could mean a lazy and relaxing stay in a resort, but why not challenge yourself to more adventurous activities such as mountain climbing, surfing or diving. Or you might prefer traditional Indonesian culture with its historical monuments, distinctive cuisine, music and dancing. All provide a wonderfully educative opportunity to experience Indonesian warmth, friendliness and hospitality. 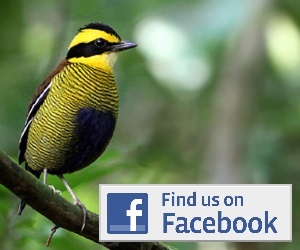 We are specialists for bird-watching in West Java and can put you on the trail of numerous endemic species waiting to meet you. There are many interesting and special sites where you can see the most wanted birds in the area and we know them intimately. 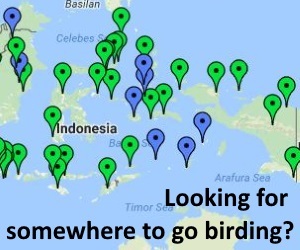 If you wish to visit other Indonesian islands, such as Sumatra (the largest of the islands), Borneo (famous for its orang utans), Sulawesi (traditional funerals), Bali (high culture, idyllic beach life and the world’s most stunning rice terraces) as well as further afield to exotic places such as Flores (dragons), Sumba (handicrafts) and Irian Jaya (tribal culture), we can be your friendly tour operator. Our schedules are always flexible and can be tailored to suit your needs and enjoyment – you only have to ask!